The Mandarin Oriental has 227 residences atop a 400 room hotel. Click on the picture for more details. This building is one of the few that will close “Gray Shell” so owners can put their own upgrades into the property. For personalization, this condo can’t be beat. The Harmon Condo Hotel is one of three condo hotel buildings in the City Center project. The residences occupy the top floors from 21-47 with 400 hotel rooms, and 207 stunning residences. For more information on The Harmon, please click on the picture to your left. 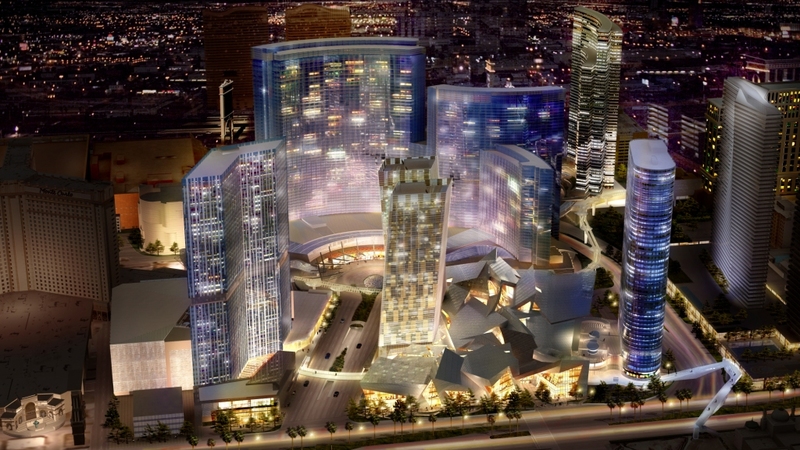 Veer Towers is strictly a residential building within City Center Las Vegas. The unique architecture of these two towers gives the illusion of dancing steel. There are studios, one, two and penthouse units available in this building. For more info, click on the picture to your left. Vdara Condo Hotel Residences in City Center Las Vegas has 1,543 condo residences in a 57 story building just south of the Bellagio. There will be a pedestrian walkway connecting this building to the Bellagio. For more info, click on the picture to your left. Scenes and improvements are not within the project, are proposed, artist’s renderings only and NEED NOT BE BUILT. Plans, architectural renderings, specifications, pricing and locations are subject to change without notice. © Project CC, LLC. Unauthorized use of the images, artist renderings, plans or other depictions of CITY CENTER is strictly prohibited.